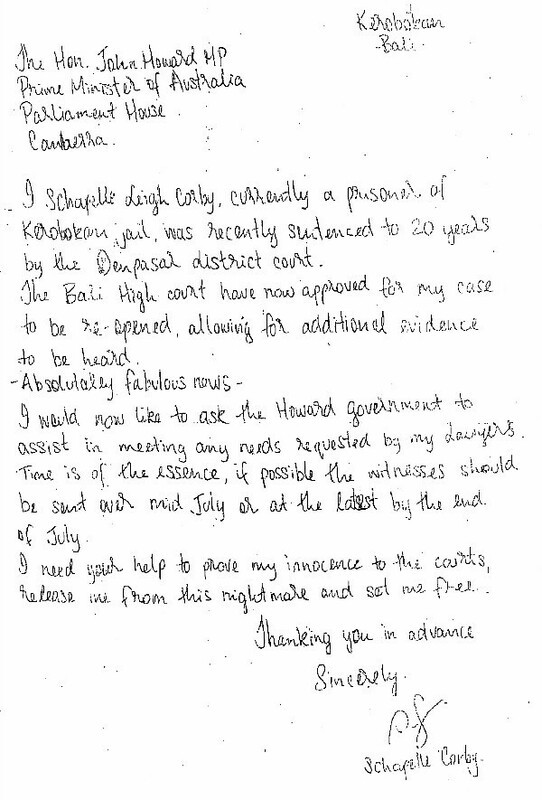 This is Schapelle Corby's direct plea to John Howard, asking him to provide assistance to her lawyers. Within days, Howard was made aware of vital primary evidence, including that her boogie-board bag was the only one not scanned at Sydney Airport. Along with a raft of other critical information, it was withheld by the AFP and the Australian government, even when directly questioned about it by her legal team.